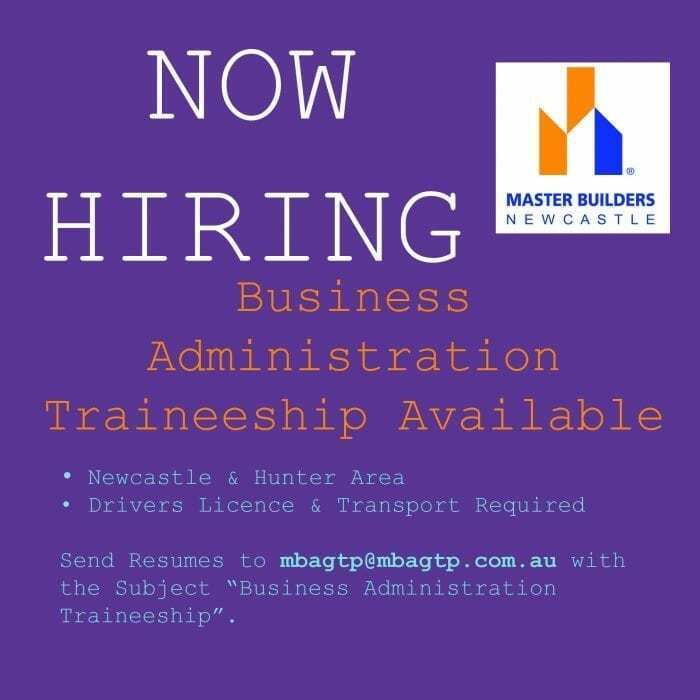 At MBA Group Training we contently have job openings for apprenticeships and traineeships for many companies in the Newcastle and Hunter region. We advertise these positions in the newspaper and in the ‘current jobs’ listing below. However, you can send us your resume and application at any time to be considered for all upcoming positions. Registrations are kept on file for 3 months; thereafter an updated resume and application form must be submitted.